How do you get paid and how often? This is one of the first questions I asked my sister when she introduced me to online work. I’ve been working 5 years for an IT company at that time. I found it hard to imagine how you can get paid if don’t have an office with a payroll officer that you can talk to. And now here I am, almost a decade later. Working online has become my career. It has allowed me to provide for my family and actually gain more skills than I ever thought possible. I get paid every month plus 13th month and the occasional bonus for good work. 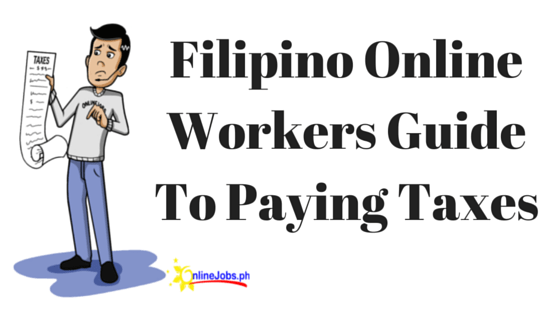 Yep, Filipino online workers get paid. When (or how often) do you get paid? We get this question a lot here at Onlinejobs.ph, mainly most people associate online work with freelance work. But online work isn’t just to freelancing. There are project based workers and those who have employment arrangements. That’s why payment terms can also vary depending on your work arrangement. If you are a project based worker, how you get paid can vary. Some prefer to be paid before the project starts in full or partially. Some get paid when the project is done. Payments can also be staggered along certain points of the project timeline or when milestones are met. For hourly workers, they have tracking software that accounts for how much time they spent working. The payment can be given, again, depending on the arrangement. It can be once you have worked a certain number of hours, or according to a quota, or be paid according to a schedule (weekly, bi-weekly, or monthly) regardless of the number of hours worked. But here at Onlinejobs.ph we offer mainly full-time jobs that pay month after month. This means, like an employee, there’s a fixed salary every month. The workers get paid every week, twice a week, or once a month and they know exactly what amount to expect every month. Do we get paid in dollars, pounds, etc? The currency and amount depends on the arrangement and preferences of both the worker and client. Sometimes the amount and the currency is already stated in the job post. Sometimes it’s subject to negotiation during job interview or recruitment. And sometimes, it’s determined by the payment system you’ll be using. It’s actually easier than most people think. In the early days of outsourcing, we would need to have a bank account. Ideally it would be a dollar account so clients can transfer payment. There were also cash transfer services like Western Union or Xoom but as time passed, it started having a lot of restrictions regarding cash transfers. Then online payment systems came along like Paypal and made it easier for clients to pay. But Filipino workers didn’t really benefit much from it. Because of AMLA restrictions, there was a limit to how much you could receive before you account was flagged. You had to meet a certain cash limit to withdraw your money. And it’s not recognized by all banks. So if you’re an online worker from the provinces, sometimes you would to travel just to get your salary. There’s also the issue of the exchange rate. It’s usually unfavorable towards the peso and online workers often have to shoulder fees from the payment system, the currency exchange system, and the local bank handling the transaction. So there were a lot of cases when Filipino virtual assistants would get a lot less than the rates that they were expecting. We at Onlinejobs.ph are aware of this and have worked for years to find a solution. So we set up a payment system that would respond to the needs of both employers and jobseekers and came up with EasyPay. It’s a payment system that comes with your Onlinejobs.ph account. The great thing about it is it allows you to create an invoice within your jobseeker account. And even if you’re already using PayPal or Payoneer, you can easily integrate it with the EasyPay System. What happens when I don’t get paid? There are cases wherein online workers don’t receive their expected payments on time. Most of the time, the problem stems from scheduling conflicts. It takes banks to process payment, especially with bank holidays. So payment would sometimes be delayed. This is often the case especially if the employer and the worker are in different time zones. In some cases, it’s a misunderstanding with the contracts. For example, when both parties that payment should be done on the 15th, the employer might think that he would pay on the 15th (his timezone) and the VA thinks he will be receiving his salary on the 15th on his timezone. It can also be disagreements on the time spent working, amount of work that’s been delivered, or the quality of work provided. That’s why it’s important early on to be clear on what both parties expect. Don’t just assume that you and your client understand on the general terms. Be as detailed as possible. It’s an uncomfortable conversation but it will help avoid future disagreements. Last but not the least, yes, there are cases when jobseekers are scammed. We have successfully eliminated most known scammers through our quality checks but unfortunately, some do manage to get into our database. That’s why it’s so helpful when jobseekers report these incidents to support@onlinejobs,ph. Once reported, we launch an investigation and mediation process. Best case scenario, the issue is resolved and the worker continues to work and gets paid. Worst case scenario, if the employer is proven to be a scammer, he is banned from the database. Do you have more questions about online jobs that you want to ask? Leave your questions in the comments below and we just might answer then in our next blog posts! Hi there! With regards to your payment system which is the EasyPay system, is it secure? Knowing that nowadays hackers are known to infiltrate new technologies that are emerging. I just want to know more about it and its security because I’m planning to work on online jobs and find it quite intriguing and interesting. Hoping for your kind response with regards to my concern. Yes, it’s secure. It’s our own system but it can also be integrated with Paypal and Payoneer. Hi, the link drops me straight to the sign up process. But same with others, I want to know more before engaging myself into this. 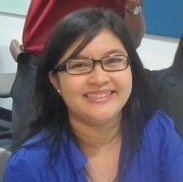 Do onlinejobs.ph offers some kind of blog or thread discussions? I’m trying figure out the cost for using easy pay. Please could you direct me to where I can find this information? This is my first payment to my VA. I have a months membership which will expire shortly so I want to be sure I may continue to use this method of payment once my membership lapses. Also I will be paying in sterling and I’m assuming that my VA will be paid in the local currency, straight into her bank account? Hi! I forwarded your question to our support staff and they will help you with your EasyPay issue through email. When employees create invoices within their jobseeker accounts using EasyPay. Do most employees send the invoices using their individual names OR do most of them have a company from which they can send the invoices to their employers? For tax reasons, there may be an advantage if they have a company. When you’re an independent contractor, using your own name would suffice. But yes, I agree, having a company does have advantages. it redirects me to payoneer but i want to use paypal how do i do it? I forwarded your comment to support. I believe they contacted you and gave you instructions on how to use paypal for easypay. Hi Julia. I want to use paypal for this too. Is that possible? It redirects me to payoneer which I dont want to use. After doing the above steps, you are ready to be paid through Paypal. how can i connect my onlinejob account with my payoneer account? I just got my first client and he tried to make an advance payment through Paypal, but it is nnot allowing him to do so. Then I setup a Payoneer account, which up until now I am waiting for the response if I can already receive payment or not. Do I need to do something else so my client can make his payment already? Thanks in advance. I already registered and connected my account payoneer to OnlineJobs.ph can you tell me if ever the client will already sent payment, how and where I can claim it. What are the in formations they needed for me to be able to claim it. And also I want to know how I can contact payoneer because I cannot open my account to them. I want to talk to them through messenger but they did not reply to any of my concerns. I have a hard time in communicating with them. I really don’t know how I can reach them. I try to search them in google but I think the machine generated reply will be the one to answer to my query. I wanted to talk to them because I want to change my cp number already registered in my payoneer account. Hi Rosamarie, Have you tried emailing them at support@payoneer.com? Will the client be charged big amount if I will redirect Easypay from Payoneer to PayPal? Cause my client doesn’t want to use paypal cause he said it’ll charge him big and payoneer works best. Both will charge fees. But yes, Paypal usually charges a higher fee while Payoneer will only charge a 2% forex fee. Hi Julia, I tried to register to Easypay but it’s directing me to Payoneer. I do already have a Paypal account, how can i integrate it on Easypay? What if my employer insubscribe to onlinejobs. ph because he already hired me, can he still use easypay to pay me? My payoneer account is already linked in easypay here. Your employer can continue to use EasyPay even if he unsubscribes, as long as you are marked as Hired and both of you use EasyPay. What is the turn around time for employer non payment issues to be resolved? I have not received any response from support@onlinejobs yet. It has been more than 10 days since I have raised the issue to the support team, and now even the support team is not responding. Kindly enlighten issue. Thank you in advance! Do you have any updates on this? I still haven’t received any payment frim John nor any response from your office. Will this be resolved or do I just have to think that John’s supposed to be payment as charity given to him and his business since your office was not able to resolve this since Oct 21 when this was raised to your attention? Please advise. I have a question about Salary loan application for both SSS and PAGIBIG. I would to voluntary pay the loan amount from my current Employer but if in case I have an Employer from onlinejobs what is the basis if I permit to consolidate my present Employer (office-based) and onlinejobs? Will I submit a certain form to SSS and PAGIBIG so I can apply for a re-loan in the future? please can you share what is the technique to get hired? thank you. Is your EasyPay for PayPal and Payoneer only? what if I want it directly send to my bank account? Hi! I am currently using my friends’ Paypal account when I created an invoice because mine isn’t fully verified yet but now it is already fixed. How can I change the payment email address using my own PayPal email? I forwarded your message to our customer support. You should receive an email from them soon.